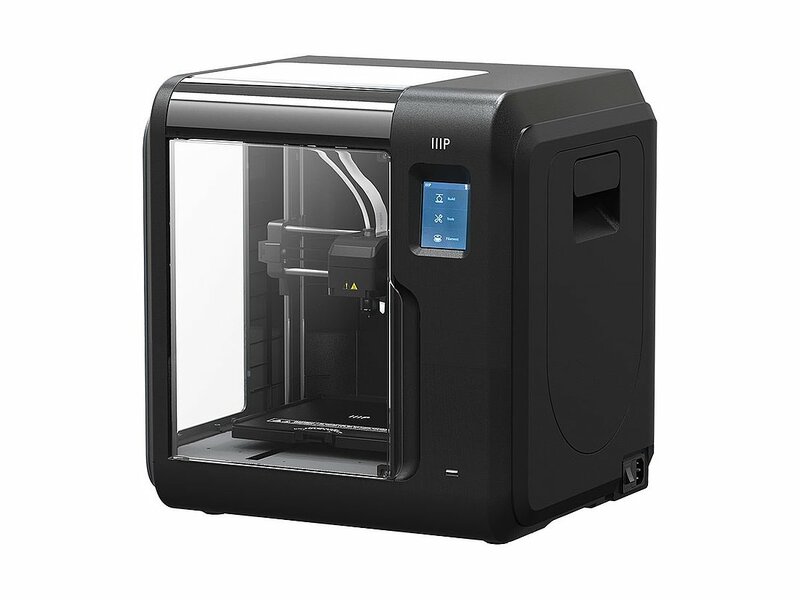 The Monoprice Voxel 3D printer has many features found in more expensive printers, such as touchscreen display and a full enclosure. I just became aware of the new Voxel 3D printer from Monoprice and I'm amazed at how far Monoprice has come with their 3D printers. This new Voxel model is fully enclosed, has a bed leveling assist feature, and built in WiFi. I've owned two Monoprice printers of their Maker Select series and have been very pleased with the performance and ease of use, but this Voxel 3D printer seems like they've taken their printers to a higher level, making it appealing to those where ease of use is important. Those who print ABS will like the enclosed design. It has a touch screen and it has 8 GB of built in memory. The built in Polar Cloud™ software allows the Voxel 3D printer to be controlled remotely from any computer with a web browser. That's convenient. I also like that the build surface is removable. When you want to remove your completed prints, you can just remove the build surface and peel the build surface away fromt he print, kind of like removing the backer from a sticker. What else is to love about this printer? It has a quick change nozzle, which means you don't need any tools and you can change the print nozzle in seconds. This might be my new printer. For about what I paid for my Maker Selects from Monoprice, this would be a reasonable upgrade.